Start with one dynamon and defeat other dynamons in the battle to be able to catch them in your collection. Get them all at the end of the game! Get your own dynamon and start the adventure full of battles and useful experience. Beat the other dynamon in the combat and capture it when it's weak. 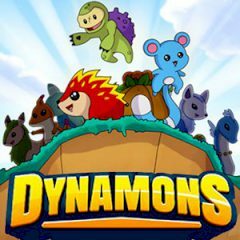 Defeat dynamons and collect them so when you finish the game you will have all dynamons available in the game. Choose the proper dynamon to start a battle, otherwise you can lose because the abilities were chosen wrong.